These days it seems like everyone is counting carbs. About 24 million Americans report they have cut carbohydrates from their diet, and 44 million more say they may try a low-carb diet in the next two years. But what do people really know about carbohydrates? 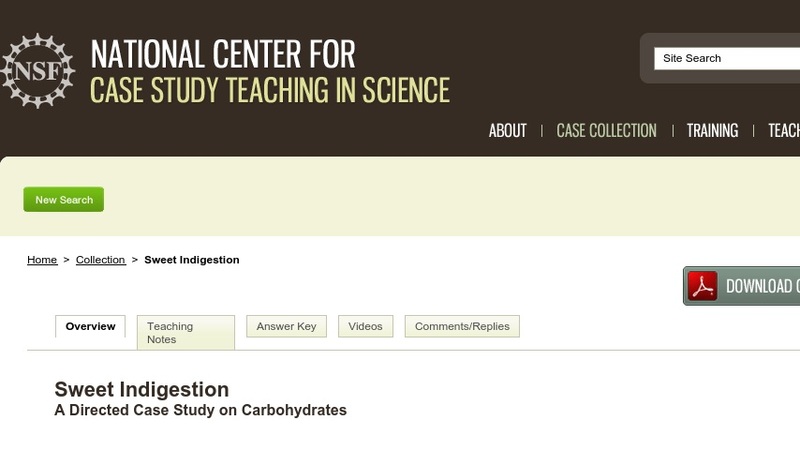 This directed case study, designed for use in a large enrollment introductory course, teaches students how to recognize carbohydrates in the foods they eat and to differentiate between different classes of carbohydrates. Students learn how the body utilizes carbohydrates and discuss whether or not eliminating them from their diet can be healthful.